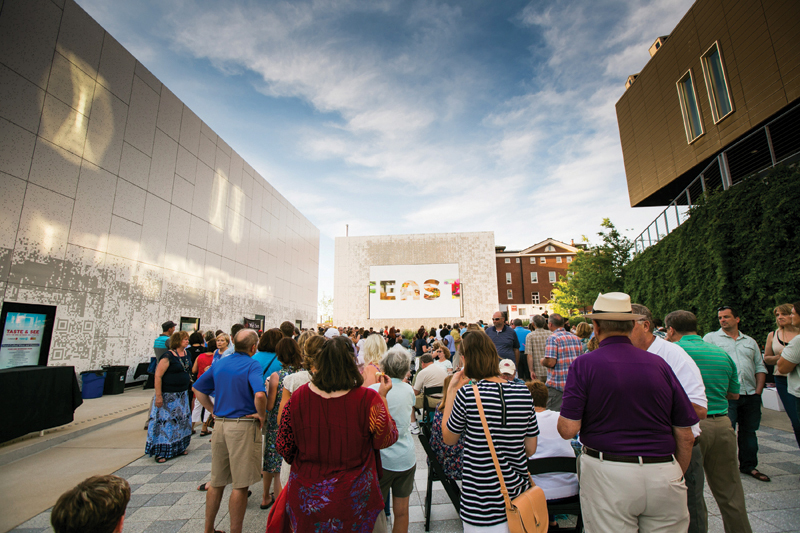 The intersection of Grand Boulevard and Washington Avenue is where arts, academics, and outreach converge in the city of St. Louis. The historic Grand Center neighborhood has a long tradition of being home to famous artists, poets, and writers, including Tennessee Williams, Kate Chopin, and William Burroughs. Celebrated landmark theaters, such as the Fox and Sheldon, still stand as markers of the city’s boom years. The area surrounding these icons has seen periods of growth and decline, resulting in a rather disjointed landscape. The bulk of the housing stock dates back to the early 20th century and was built largely to accommodate the 1904 World’s Fair in nearby Forest Park. The World’s Fair-era hotels were transformed and restored over the years into high-rise apartments that overlook the turn-of-the-century single family, architect-designed homes in Classical Revival style. The removal of the Beaumont Medical complex in the 1990s set forth the biggest change, placing the Tadao Ando-designed Pulitzer Arts Foundation next to those mansions. 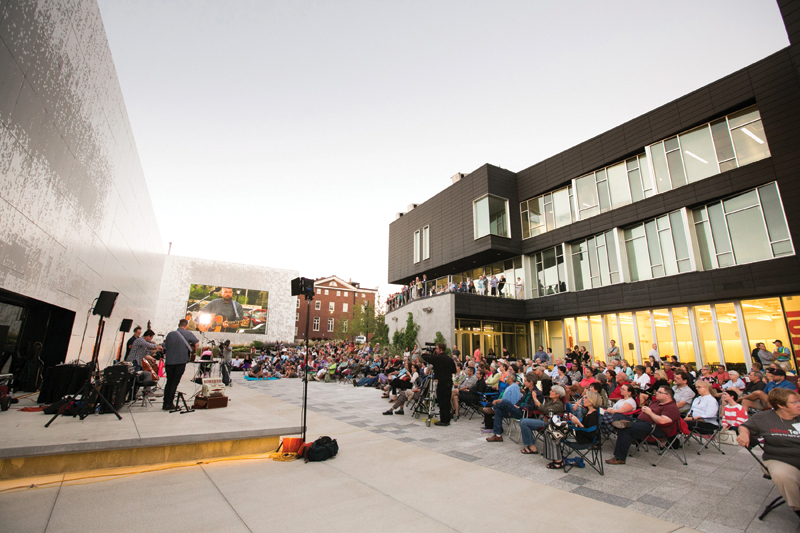 The area is also home to the Contemporary Art Museum, St. Louis Public Radio, and KETC, the local public television station. If there is one historic core to Grand Center it would be Strauss Park, a small enclave surrounded by an eclectic mix of theaters, cafes, and storefronts. 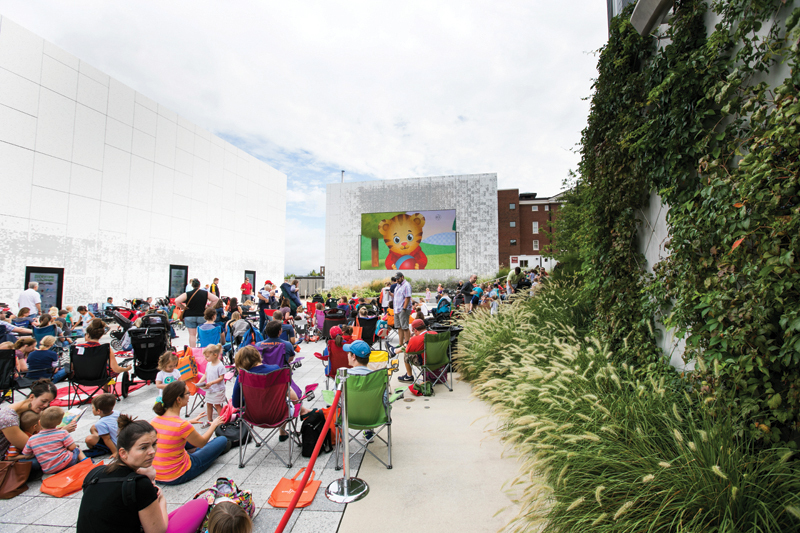 Understanding the need for a gathering place capable of serving the diverse array of cultural institutions in the neighborhood, the Grand Center Arts District venues and organizations joined together to fund the Public Media Commons. 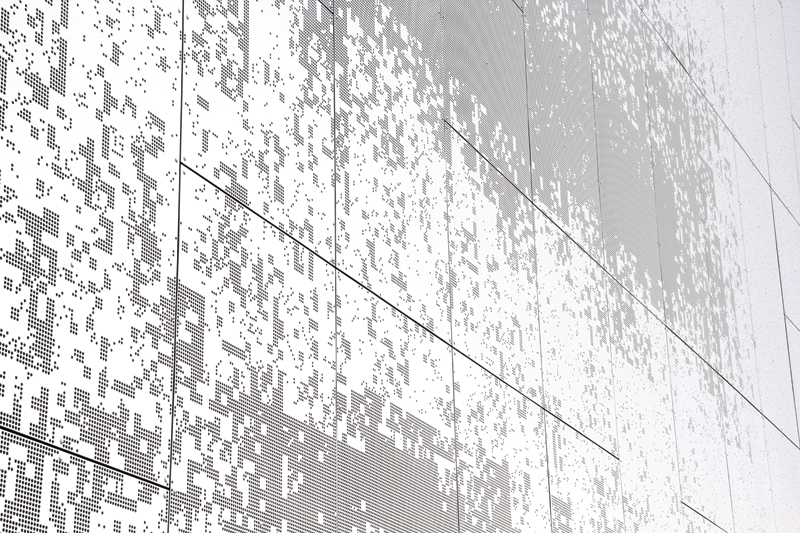 Benjamin Gilmartin and Cobalt Office, with Powers Bowersox Associates, designed the Commons, a 15,000-sf outdoor studio whose white walls accommodate a sophisticated array of contemporary media. 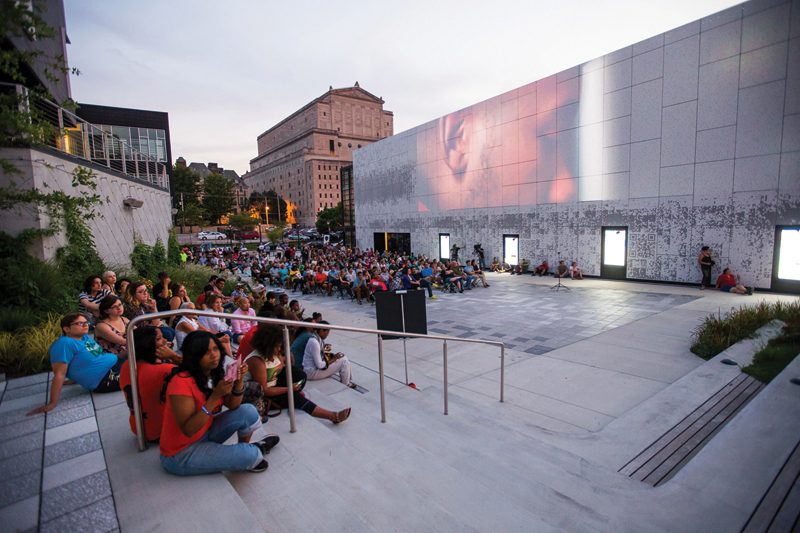 “The idea from the outset was that the project wasn’t simply a public plaza or a public ground, but an outdoor room formed from the three principal constituencies,” says Andrew Colopy of Cobalt, now a professor at Rice University. 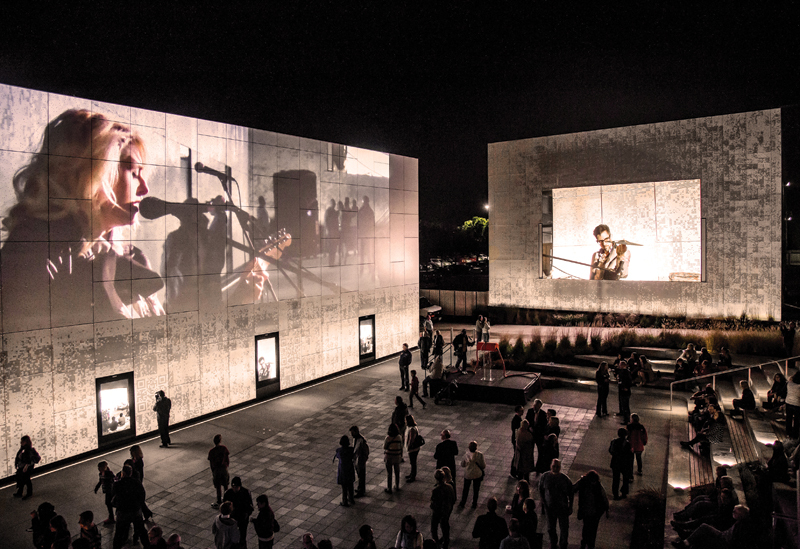 The Public Media Commons, dubbed the “white room” during the design process due to its all-white facade, runs predominantly north to south from Olive Street. 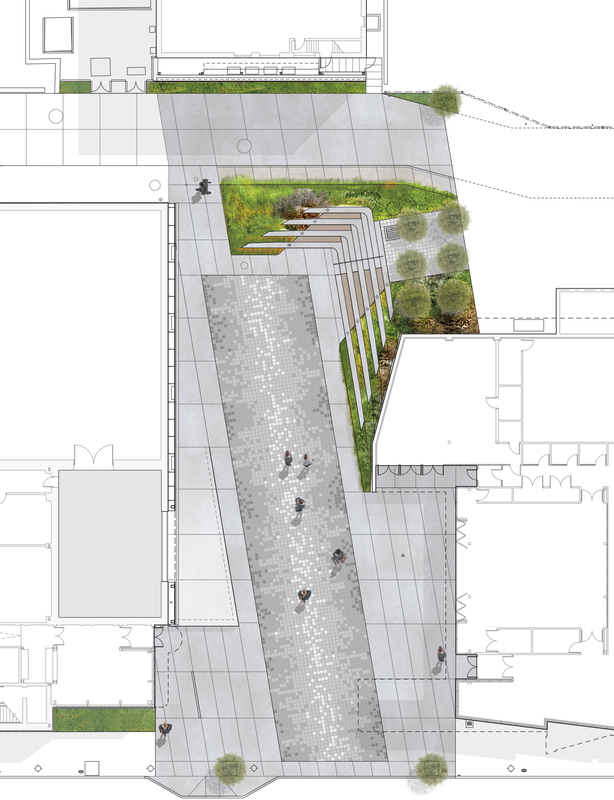 The plaza includes a forecourt entry, a central gathering space with an elevated cafe terrace or stage, a shady hangout, and landscaping by DLANDstudio of New York. Steps integrated into the Commons and leading toward the Fox Theatre create ample seating for the viewing of a large media screen. Michael Friebele, Assoc. AIA, is an associate at CallisonRTKL.